Safir Hotels & Resorts recently selected a new line of environmentally friendly guest toiletries for use in all its hotels in the group’s drive to set new standards. The Anyah Eco Spa Treatment line is a high-quality, eco-friendly cosmetic line that meets Safir’s desire to make responsible decisions on how to minimise its hotels’ impact on the environment, said a statement from the hotel. 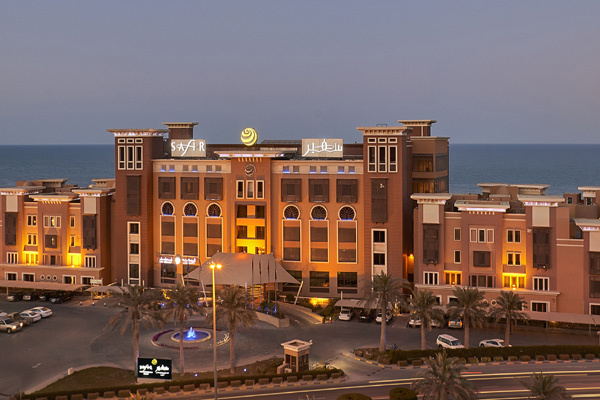 Safir Fintas Kuwait – Hotel will be the first hotel in the group to introduce this new range of guest cosmetics. The Anyah products for face, body and hair are carefully formulated and contain rich, effective and high-quality vegetable extracts, like rosemary and mimosa. The entire cosmetics line is enhanced by a specific aroma, which gives Anyah an unforgettable character: fresh, citric and marine. The olfactive notes include sparkling citrus and fresh watery bamboo, a precious floral bouquet with jasmine and fresia, enriched with the enveloping lotus flower. Warm woods together with fava tonka complete the comforting and embracing new signature for Safir Hotels & Resorts. The primary line, which comprises body wash, shampoo, conditioner, vegetable soap and moisturising lotion for hand and body, will be made available in all hotel rooms. A more exclusive, comprehensive cosmetic line will be available in selected suites in the hotels and resorts, and include a facial cream, an after-sun cream, a body scrub and a conditioning hair treatment. “We are revisiting our entire guest journey and wish to ensure that each and every product that physically touches our guests is of the very best quality, ensuring an optimum experience,” said a hotel spokesperson. Safir Hotels & Resorts is also exploring the introduction of other new alternatives for guest-facing products such as towels, bed linen, in-room amenities, etc. “In the selection process of each of these products, we look at how we can ensure minimum impact on the environment,” says Safir’s chief operating officer Patrick de Groot. “In order to make a real difference, we need to adhere to our principles consistently,” he adds.